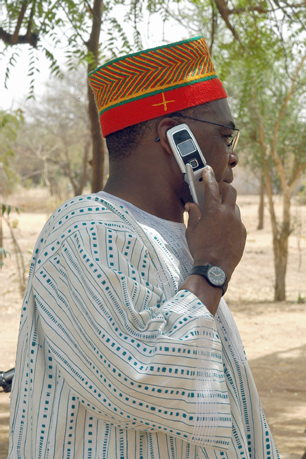 With a vast geographical footprint, Africa is an area where Internet Service Providers (ISPs) face difficulties connecting their customers via terrestrial infrastructure, such as fiber, which would be both logistically complex to deploy and not economically justifiable for many countries on the continent. Here, satellite-based solutions provide the answer — but with service providers having to meet demand from business and residential customers for multiple services, this can lead to complex infrastructures with high operating expenses (OPEX). In order to ensure they serve their customers in an efficient way, operators should consider migrating their operations to one multiservice platform to allow them to serve numerous markets at the same time and grow their network with their business. 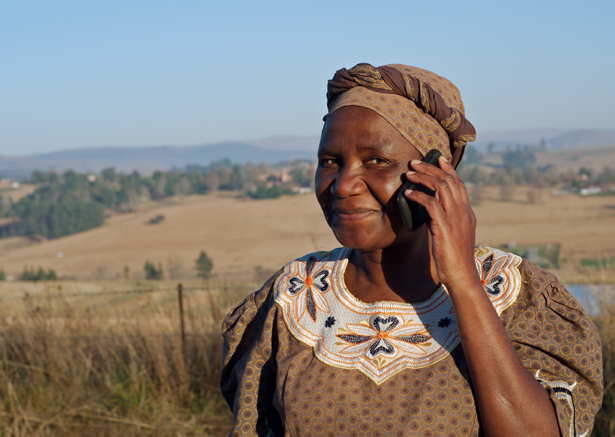 With mobile operators in emerging markets under pressure to extend their services in rural areas, mobile connectivity is one market wherein ISPs would do well to capitalize by providing cellular or, as you might say, ‘mobile’ backhaul. In remote areas, satellite backhaul is often the only mobile transport available, providing reliability and quick service roll-out. However, satellite backhaul also brings increased latency and operational costs which must be mitigated with the correct solutions. As user habits change, the demand for 4G backhaul is also growing, bringing further complexities when it comes to providing backhaul. Carrying the promise of a true mobile broadband experience, 4G is delivering higher speeds with more cost-effective equipment, blurring the lines between cellular and WiFi. However, 4G consumption of significant volumes of data brings with it an added need for efficiency and enhanced Quality of Experience (QoE) for the end user. At the same time, services must still cater for those using 2G and 3G for voice and basic data. This comes at a cost — many ISPs won’t be willing to commit to these expenses as they look to lower their OPEX all the while continuing to guarantee the necessary bandwidth for their customers. This can be achieved by balancing the return link between the service availability and efficiency of SCPC with the flexibility of TDMA. 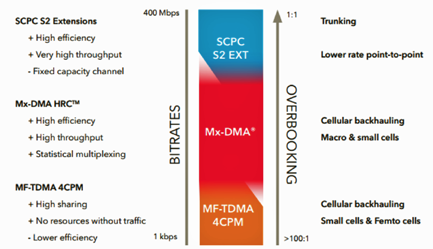 Newtec’s Mx-DMA technology, for example, combines the efficiency of SCPC with the dynamic bandwidth allocation of TDMA, ensuring that all the traffic is accommodated at each remote base station while multiplexing the bandwidth very efficiently between these remotes to decrease OPEX. By adapting real-time network conditions through seamless and continuous adjustment of the entire carrier plan, Mx-DMA also ensures that the highest Quality of Service (QoS) is available at all mobile base stations with the lowest jitter and delay, meaning any mobile traffic is guaranteed the best service at any time. 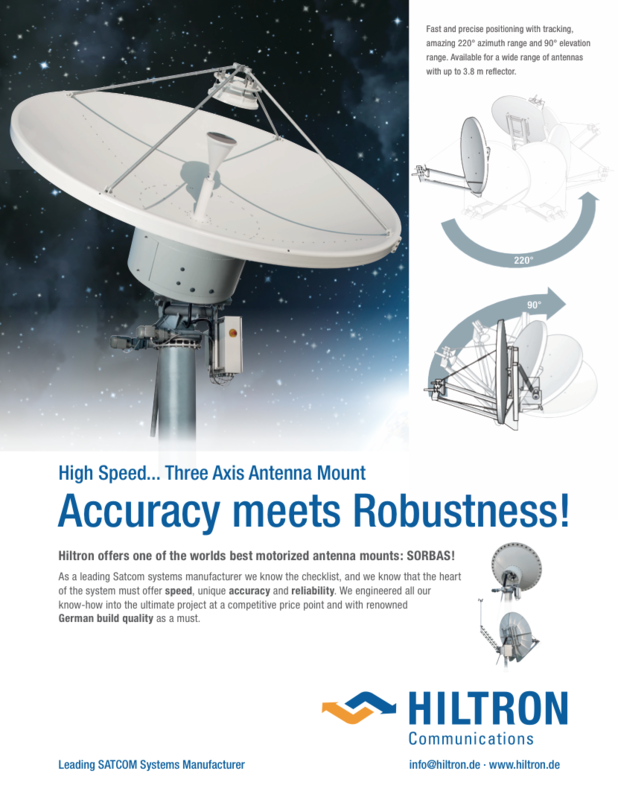 By using this technology, satellite backhaul is repositioned for maximized efficiency, leveraging Mx-DMA to support the widest range of the required mobile services. 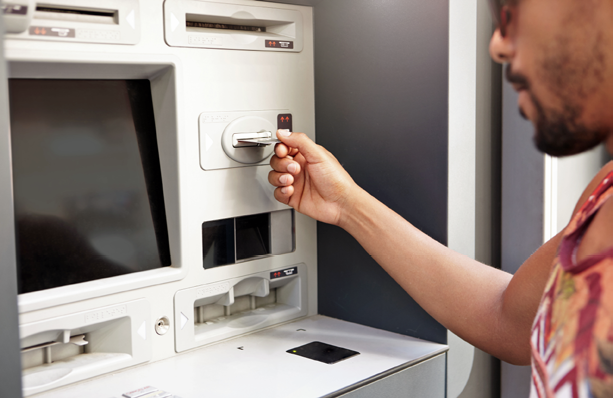 The financial market is another key sector for ISPs to target, with reliable and secure connectivity for banks now more important than ever to provide a link between the institution’s headquarters, data centers and branches, as well as connect ATMs and Point of Sales (PoS) transactions. At the same time, innovations such as mobile payments and mobile banking are increasingly shifting the focus from the traditional financial institutions network toward connectivity-based applications, especially in emerging markets. Unreliable or unavailable connectivity for corporate applications and systems potentially causes revenue loss, increased operational cost and reduced customer satisfaction for financial institutions. Satellite-based connectivity can be used to complement the terrestrial infrastructure to ensure good business continuity at reasonable cost or provide high availability back-up. 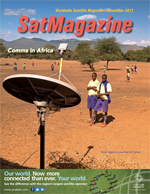 In regions where connectivity options are limited, satellite can easily provide reliable and secure network connectivity to any remote location within its footprint. A VSAT technology which blends easily into existing IT networks is also desirable, as is maximal virtual private networking flexibility, Layer 3 routing, Layer 2 networking and Multiprotocol Label Switching (MPSL) over the satellite links. 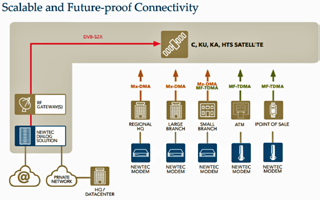 Newtec’s solution combines these elements with sophisticated Quality of Service management, as well as optimal connectivity for delay- and jitter-sensitive applications such as voice and ATM transactions. This future-proof set-up is enabled by Newtec Dialog and remote modem portfolio which can be scaled to hundreds of thousands of remote locations. On-board satellite technologies, such as DVB-S2X and Mx-DMA, provide unprecedented bandwidth efficiency, resulting in the lowest possible OPEX while at the same time assuring the best-in-class service reliability. Of course, with the satellite industry continuing to go through a period of uncertainty and the most profitable markets of the future being hard to predict, operators might find it difficult to make a choice between which of these profitable markets to target. The good news is, no choice is necessary as a multiservice platform like Newtec Dialog enables ISPs to serve numerous markets via one platform. This simplifies infrastructures and day-to-day operations, brings gains in capacity and lowers OpEx, while the platform’s scalability enables businesses to operate flexibly and have the potential to offer improved and additional services to customers. The on-board Mx-DMA means that bandwidth can be changed and adapted on-demand, giving more control and increased efficiency while making it easy to shift capacity to each site as required, which is especially important for HTS-powered services. Publicly-owned telecommunications specialist Teledata is among Service Providers already using Newtec Dialog and its Mx-DMA technology, after it recently upgraded its network to reduce the number of platform it uses to one. Teledata is using the platform for hundreds of mobile backhaul (2G, 3G) and banking application sites across Mozambique. The cellular backhaul network is also using the MDM3310 Satellite Modem, while hundreds of ATMs will be connected using MDM2500 IP Satellite Modems. The services will use two spot beams on the Intelsat EpicNG 33e Ku-band High Throughput Satellite (HTS). The installed Newtec Dialog® hub, which powers Teledata’s ATM and cellular backhaul network across Mozambique to provide web access and file transfer capability via two HTS spot beams. Photo is courtesy of Teledata. “Upgrading our networks to a single multiservice platform using Newtec Dialog enables us to simplify our day-to-day operations and to deliver reliable connectivity to a large number of sites across Mozambique. The scalability of the platform means it can meet our needs both now and in the future, allowing us to operate flexibly and have the potential to offer improved and additional services for our customers,” said Xavier de Jesus Maria, the CEO of Teledata. The installed Newtec Dialog® hub, which powers Teledata’s ATM and cellular backhaul network across Mozambique to provide web access and file transfer capability via two HTS spot beams. Photis is courtesy of Teledata. As the landscape in Africa and the satellite industry continues to change radically, with new technologies and applications changing consumer behavior and the advent of HTS, it will be crucial for ISPs to provide a wide offering which caters for both residential and business customers. This used to mean cumbersome, standalone platforms for each service but with the advent of multi-service, numerous markets such as high-value ones like cellular backhaul and banking, can now be addressed by one platform, allowing ISPs to tap into new opportunities and continue to be relevant to new and existing customers.